Chris Teller, (Pe-ou - Misty), was born into Isleta Pueblo in 1956. 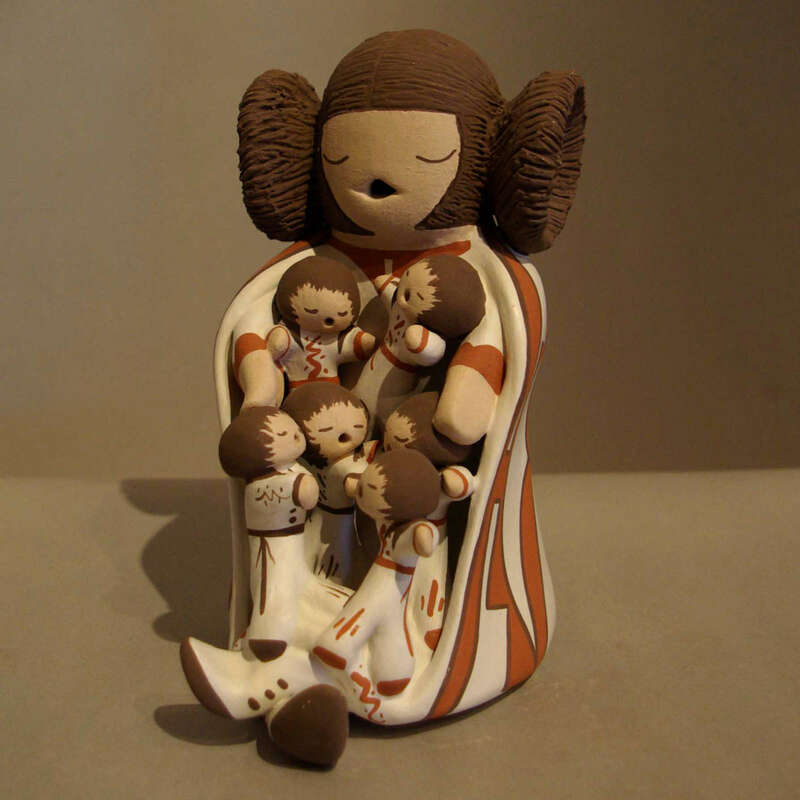 She began working with clay at the age of 17, learning from her mother, Stella Teller. Stella was famous for her storytellers and clay sculptures and has been featured in many publications and won numerous awards. Chris herself judges pottery at the New Mexico State Fair. 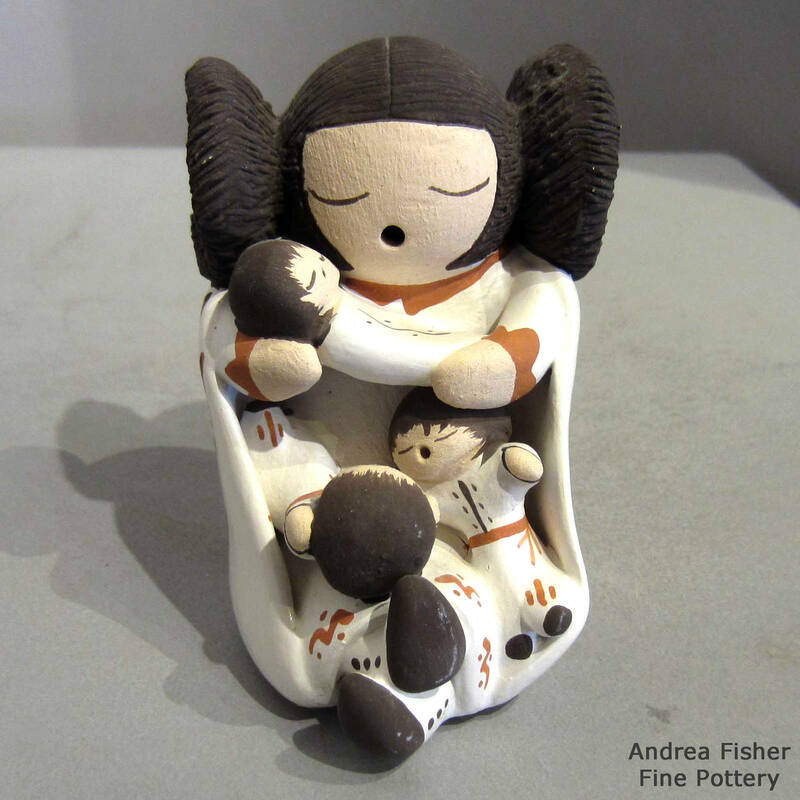 Chris specializes in handmade storytellers, nativity's, and clay sculptures but she also makes friendship pots, traditional pottery and wedding vases, always using the traditional methods passed down from the ages. Chris signs her pottery as: C. Teller, Isleta, N.M.